The discovery can be useful to learn the factors that causes a rocky planet to grow into a gas giant. NASA scientists working on the Kepler Space Telescope’s K2 mission just made another significant discovery by proving the existence of three additional exoplanets. The three newly discovered exoplanets orbit a star called GJ 9827, and fall into the category of “super-Earth.” A super-Earth is an extrasolar planet with a mass higher than that of Earth’s, but substantially below the masses of Solar System’s ice giants - Neptune and Uranus, which contain 15 and 17 Earth masses respectively. The three exoplanets’ hot star, GJ 9827, is nearly 100 light-years away, which makes them the closest planets yet discovered by K2. A light-year is a unit of astronomical distance equivalent to the distance that light travels in one year, which is nearly 6 million miles. 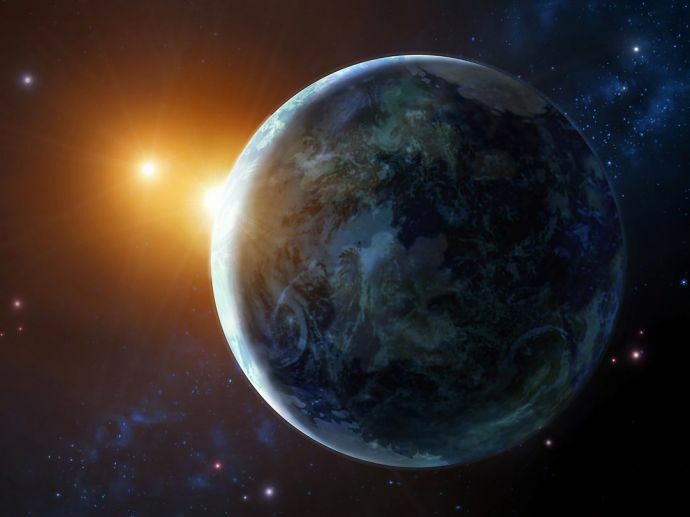 The exoplanets’ distances from their sun are around 1.75, 1.36 and 2.1 times that of Earth which puts them on the interior and exterior limits of the distance that can sustain rocky planets. The planets’ orbits span the internal and external limits of the region around the star where rocky planets form life-sustaining atmospheres. This can be useful in understanding Earth-like exoplanet evolution. However, beyond that span, which is roughly 1.5-times the distance between the Earth and the Sun, the planets become giants. As the category of these exoplanets speaks only of its mass, the information about its surface conditions remains unascertained. The planets may or may not be suitable for life. The discovery was initially published on the ArXiv preprint server.